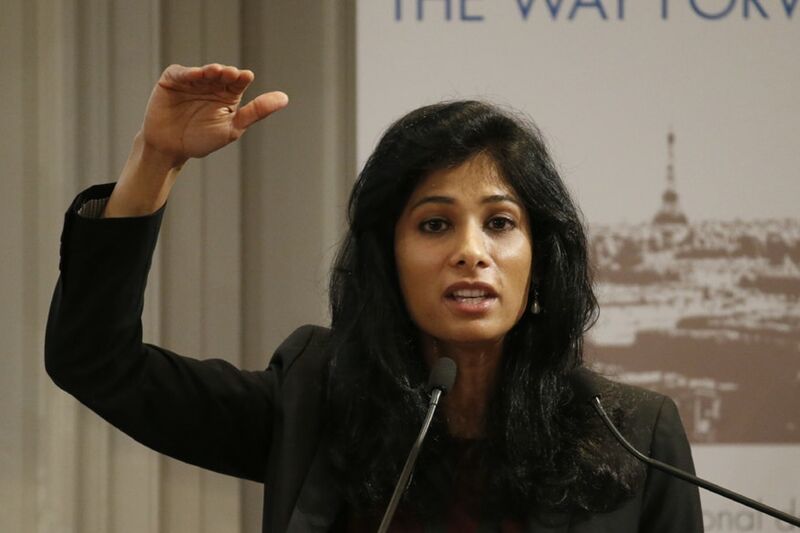 New Delhi: Joining the growing chorus against farm loan waivers, IMF chief economist Gita Gopinath has said such populist measures will not solve the problems faced by farmers permanently, and instead backed cash transfers as a better solution. “There is a tremendous amount of distress in the agricultural sector and I believe that farm loan waivers don’t solve the problem on any kind of permanent basis,” Gopinath told CNBC-TV18 on the sidelines of the World Economic Forum in Davos. A cash transfer would be absolutely better than loan waivers and it would be more broad-based, Gopinath said, adding that the governments need to work more closely with farmers by giving them better technology and better seeds in a bid to increase yields. In a bid to appease farmers before the Lok Sabha election and address the farm distress, many state governments have announced farm loan waivers. The Congress, after wresting power in the three Hindi heartland states of Madhya Pradesh, Chhattisgarh and Rajasthan, made good on its campaign promise to waive farm loans almost immediately after taking charge, and the BJP-ruled Gujarat and Assam followed suit under pressure. Congress president Rahul Gandhi said his party and others would “not let PM Modi sleep or rest” until an all-India loan waiver scheme was announced. But Prime Minister Narendra Modi has repeatedly attacked farm loan waivers as a poll gimmick in his rallies and sources have said the Centre is all set to unveil a direct benefit transfer scheme in a bid to woo the community ahead of the Lok Sabha elections. Former RBI Governor Raghuram Rajan had also opposed farm loan waivers, and had last month even asked the Election Commission of India to bar political parties from making it a part of poll promises. “I have written a letter to the Election Commissioner saying that it (farm loan waiver) should be taken off the table. Certainly there is reason to think about farm distress. However, they (benefits of welfare measures) often go to the best connected. Second, it obviously creates enormous problems for the fiscal (health) of the state once those waivers are done. And I think, unfortunately, it inhibits investment down the line,” he said. He had also backed moving to a fixed cash subsidy per acre cultivated to address distress in the farm sector, as was done under by the Rythu Bandhu Scheme of the Telangana government. Gopinath said that agricultural sector and job creation, the other major pain point for the NDA government, would remain the major concerns for the Indian economy in 2019, but she was positive on the growth forecast. “Indian growth is high. We still say that it is the highest growth rate for a large economy, so that is a big positive,” she said. The other positive is actually the forecast growth going up in 2019 because of two factors – the lower commodity prices, and a more accommodative monetary policy, she added. International Monetary Fund on Monday projected that India will grow at 7.5 percent in 2019 and 7.7 percent in 2020, over one percentage point ahead of China’s estimated growth of 6.2 percent in these two years.